There's no question that chilled wine is as much a beach necessity as a towel or sunscreen, but discreetly toting and pouring your day's worth of vino can get a bit complicated (especially if doing so isn't looked at kindly by local authorities). 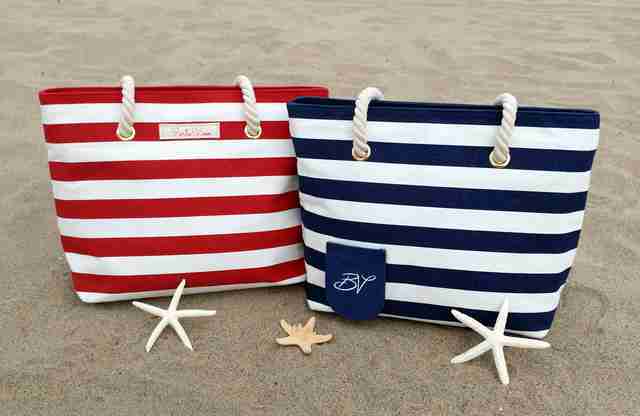 Luckily, a team of innovative bag designers has come up with a brilliant solution: a beach tote with a built-in insulated pouch that not only holds and chills up to two full bottles worth of wine, but sports a concealed spout on one side for easy on-the-go pouring. The PortoVino Beach Tote is the latest offering from Bella Vita Bags, the brand behind the wine purse -- a fashion forward handbag for wine-loving ladies which is equipped with its own insulated bladder that allowed you to slyly sip on your adult beverage of choice wherever, whenever. 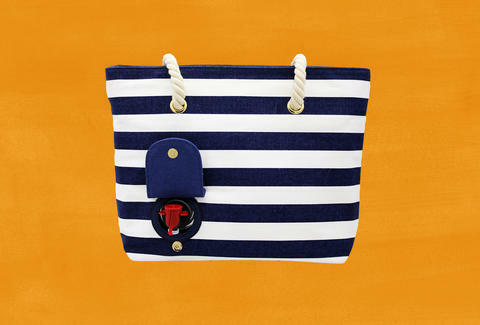 This larger version is made from beach-appropriate canvas, and has enough room to pack your towel, book, sunscreen, keys, phone, and various other beach-cessories. Most importantly, its insulated reservoir has the capacity to hold up to 1.5 liters, the equivalent of two traditional 750mL wine (or liquor) bottles. If you hate enjoying yourself, you could also presumably just fill it with juice or water. For those already convinced they can't live without one, you can pre-order your very own in red or blue right here for $40.